Twenty years ago, the Volvo XC70 looked like a box, drove like a box, and attracted buyers who thought in boxes. Then, in 2000, automobile designer Peter Horbury redesigned the wagon. After sanding down its harsh edges, he said it looked like "the front end of a Jaguar E-Type married to the back end of a Ford Transit van." Thanks to Horbury, the XC70 continues to look – and perform – out of the box. Now in its seventh model year, the 2015 Volvo XC70 proves that an old dog can learn new tricks. Front-wheel drive models receive a fresh-off-the-shelf turbocharged E-Drive engine mated with an eight-speed automatic transmission. A few features have been scrambled like Scrabble words in different options packages. Late-availability models receive Volvo On Call and Sensus telematics systems as standard. Speed bumps can be six inches tall. Most sedans sit between 5.5 and 6.1 inches off the ground. Anyone spy a problem? The Volvo XC70 can, quite literally, glide right over the problem. With 8.3 inches of ground clearance, underbody skid plates and a black plastic body wrap, the Volvo XC70 can surmount any speed bump, pothole or washboard road. The Volvo XC70 is one of the few luxury wagons that has frontal collision avoidance, what Volvo calls "City Safety," as standard. The system can automatically apply the brakes before an impending collision with another vehicle or jayhawking pedestrian. New for 2015 is Volvo's celebrated E-Drive engine, a 2.0-liter turbocharged four-cylinder powerplant generating 240 horsepower and 258 pound-feet of torque. Paired with an eight-speed automatic transmission, the E-Drive engine achieves an EPA-estimated 24/31 mpg. Partly responsible for that impressive number is an automatic start/stop system that conserves fuel in stop-and-go traffic. Every Volvo XC70 has factory-mounted roof rails. The roof of the wagon is a few inches lower than normal, allowing weekend warriors to strap a kayak or bicycle onto the roof without mounting a stepladder. 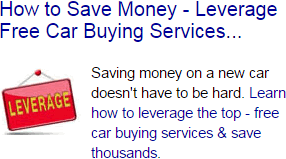 Unfortunately, some automobiles have seats presumably modeled after the concrete benches used in state prisons. Not the Volvo XC70. Professional drivers unanimously praise the wagon for its soft, supportive seats and well-placed headrests. "Baroque" and "gaudy" are, as far as the Volvo XC70 is concerned, vulgar curse words. The elegant interior centers around a "floating waterfall" center stack, where the control gauges are displayed logically and succinctly. Dark neutral colors and stainless steel accents abound. When equipped with the Platinum package, the XC70 features interior mood lighting and leather upholstery. With 3,300 pounds of towing capacity, the XC70 can tow a jet ski, motorcycle, ATV, or even a popup camper. Rather than splurging (your) money on heated and cooled cup holders, the Volvo XC70 offers practical luxury. Every single model comes with power-adjustable front seats and Bluetooth phone and audio connectivity. Two other trims, four other options packages and oodles of stand-alone options are available, such as a Harmon/kardon audio system, heated seats, air quality system, a power liftgate, and front and rear parking sensors. Thanks to the body's long, lean torso, the XC70 has storage space to rival Carlsbad Caverns. With all seats up, the wagon has 33 cubic feet of space, approximately two-three times as much as a family sedan. With the 40/20/40 second-row seats folded, the wagon has 72 cubic feet of storage space. The 2015 Volvo XC70 does not allow drivers to have their cake and eat it, too. Arguably the vehicle's best engine – the 2.0-liter turbocharged four-cylinder – cannot be paired with all-wheel drive, which severely limits its all-weather performance. Two other engines are available: a sluggish 3.2-liter six-cylinder, and a T6 3.0-liter turbocharged six-cylinder. The T6 zips to 60 mph in 6.1 seconds but takes a drastic hit in fuel economy. Most of the XC70's optional features improve safety or interior ambiance. The biggest subwoofer, the smoothest smartphone integration, the slickest voice command system – these things are in Cadillacs, Lexuses or Mercedes, not Volvos. To overturn an overused cliché, the XC70 is the vehicle one would marry, not necessarily date. The wagon body style, while popular in Europe, appeals to a niche domestic market. For superior off-road performance and comparable cargo capacity, nothing beats the Subaru Outback. The Audi All-Road offers similar all-weather performance with eye-catching design and jaw-dropping gadgets. The Cadillac CTS-V Wagon has blistering acceleration and cornering, while the Prius V costs half as much and achieves almost double the fuel efficiency. 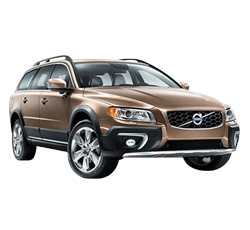 Customers who value versatility and safety, however, can do no better than the 2015 Volvo XC70. Fact it, not everyone wants a brand-new BMW or Cadillac. Some drivers prefer the back roads, away from automotive peacockery, where functionality bests fashion. The Volvo XC70 offers both, but what sets it apart and above is its dedication to Plain Jane functionality. And that, as simple as it is, is outside the box.